This page shows the advantage of calorie cash™. 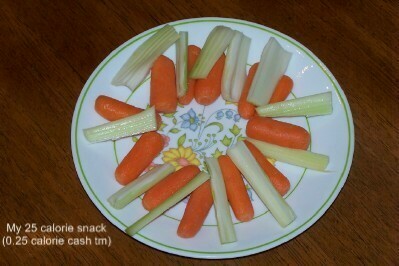 Just see how easy you can find what foods make a good 25 calorie snack. Here is a picture of one of my favorite 25 calorie snacks. I wish you would give me pictures recipes and stories of your favorite 25 calorie cash™ (13 to 37 calorie) snacks by using the form below.